One of the earliest and successful Broadway jukebox musicals, Jersey Boys – drawing on the music and story of Frank Valli and the Four Seasons – has now been translated as a film directed by Clint Eastwood. Naturally its soundtrack draws from both performances by the cast members from the musical and film as well as several original Four Seasons recordings. The track list sequencing from this soundtrack faithfully follows the spirit of the original Tony Award-winning Broadway musical – which is fantastic and enjoyable if you haven’t seen it yet – with hit after hit after hit: “December 1963 (Oh, What a Night),” “Sherry,” “Big Girls Don’t Cry,” “Walk Like a Man,” “Can’t Take My Eyes Off You” and “Who Loves You” are just a few of those iconic Four Seasons smashes featured on this set. A good portion of the soundtrack’s songs are sung by John Lloyd Young, who plays Valli in the musical and the film – and he’s a dead ringer for the real McCoy, especially when he reaches the high notes. 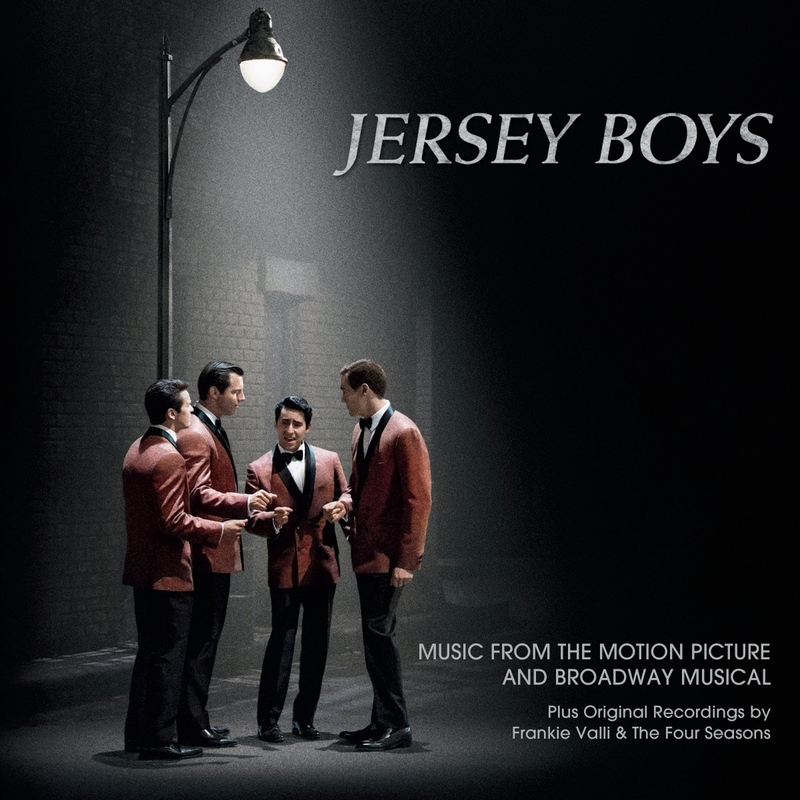 Also unique on Jersey Boys the soundtrack is that some of the tracks pair the recordings of both Young and the Seasons together, such as on “A Sunday Kind of Love.” You’ll understand why the songs are sequenced they way they are if you see the musical and the film, but as a standalone, this soundtrack packs a wallop and is a testament to the greatness of the Four Seasons and the songwriting magic of Bob Gaudio and Bob Crewe.